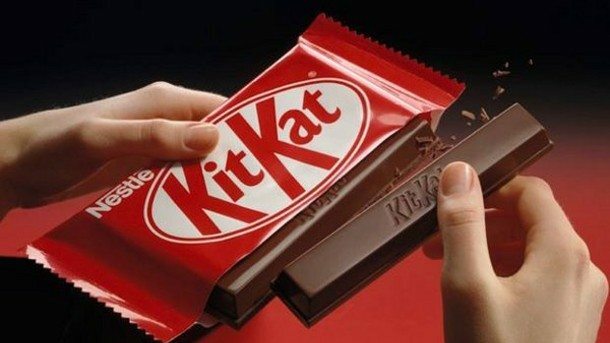 Favorite food producer Nestle has come with a statement that it is going to cut sugar levels in KitKat and other chocolate bars without affecting the taste. The company also says it has found a way to reduce the amount of sugar in its chocolates radically. The renowned food producer company Nestle has said it had developed a method of cutting as much as 40% of sugar from its sweet. The Swiss company which makes Aero, Rolos and KitKat said it had found a way to mix sugar differently using natural ingredients, so that even much less is used in chocolate consumers will barely taste the difference. The change comes by putting amidst pressure on companies to cut sugar levels and make the products better and healthier to avoid obesity and conditions such as Type 2 diabetes. Stefan Catsicas, Nestles’ chief technology officer, associated the process involved to make sugar crystals that are cumbersome and faster melting. The discovery will let the company minimize the sugar amount while maintaining the same flavor. “This truly ground-breaking research is inspired by nature and has the potential to reduce the total sugar by up to 40% in our confectionary,” said Mr. Catsicas. Our researchers have found a new way to use a traditional and natural ingredient. The famous food company Nestle is expecting to explain its discovery and make out the process in 2018 to gradually reduce sugar levels. The government has also put pressure on food companies to reduce sugar levels which causes many health issues. In March of this year, it will introduce a tax on soft drinks with added sugar. So, KitKat and other chocolate bars will come up with reduced sugar in future without disturbing original taste. Nestle has already planned the new scheme for avoiding obesity issues. A cancer research study from the National Diet and Nutrition Survey recently found that adults and children currently take twice the daily maximum recommended amount of added sugar.